The 273° with patented big date display and power reserve indicator is the flagship model of Zeitwinkel. One of the smaller watch brands out there worth following is Zeitwinkel, an independent brand based in Saint-Imier, Switzerland. Ever since it was founded in 2006, by Prof. Ivica Maksimovic, an expert of design and Peter Nikolaus who has a long experience in Haute Horlogerie, Zeitwinkel set out to create high quality wrist watches using proprietary solutions for the design and the movement, determined to build “watches for life”. Zeitwinkel currently has eight different models, each available with up to four different dial colours. They come in two sizes: the “Midsize” collection with a diameter of 39mm and the “Classic” collection with a 42.5mm diameter. All dials have a special galvanic coating that produces the characteristic black, silver, rhodium and blue colour shades. 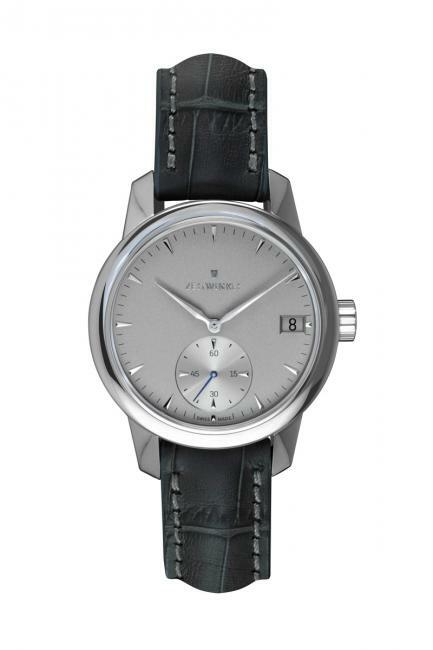 The case of Zeitwinkel 181° is crafted from the highly resistant 1.4435 steel. The Zeitwinkel stainless steel case is unmistakable due to its clear-cut profiling and the exquisite interplay of polished and burnished surfaces. It also worth noting the attention they gave to the design of the crown. On every Zetwinkel watch, the crown is using a multi-stage sealing system with dual O-rings, guarantying that even with the crown raised, no water could enter. 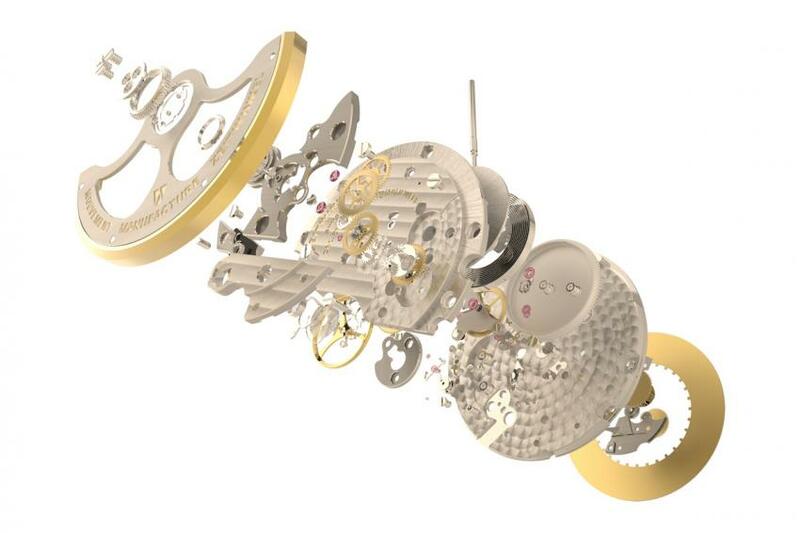 The Zeitwinkel ZW102 exploded view. As a true independent watch manufacturer, Zeitwinkel watches are equipped with the exclusive manufacture movements ZW0102 and ZW0103. Both calibres are constructed exclusively with German silver plates, requiring exacting diligence during the manufacturing process and both a capable of running without being wound for 72 hours. The ZW0103 was based on the ZW0102 to which they’ve added a self-developed power-reserve indicator complication. It is easy to recognise from the placement of the date window at 11 o’clock. 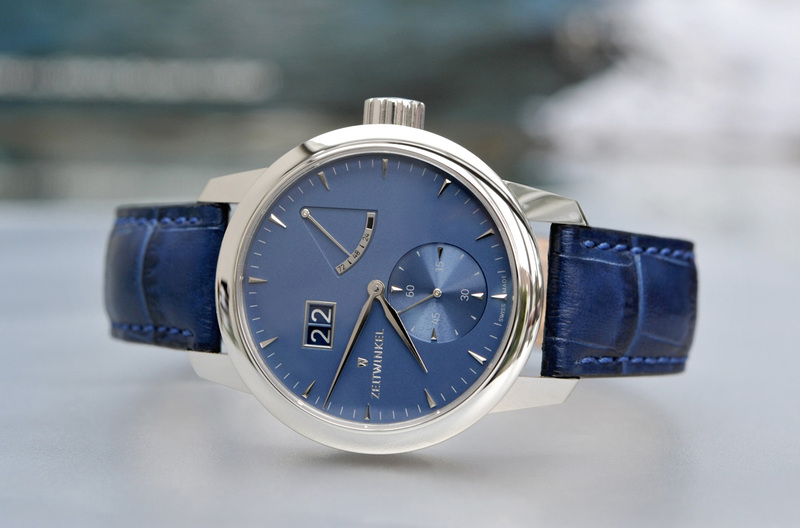 Zeitwinkel had its market launch in 2010, initially with a presence only in Switzerland, Germany and Austria. Since 2011, they are entering markets outside Europe, establishing a sales network in the United States in 2012. This year they are planning to further reinforce their presence in the North American market with the opening of a service centre in Colorado. I asked them about their plans of entering Canada too, but I did not get an answer yet. In the mean time, Canadians that would like to have a closer look, you’ll have amore luck south of the border, here is the list of US boutiques carrying them. They are very careful in expanding their network of authorized dealers and while other high end watch brands still prefer to scare people with strong warning against purchasing their timepiece online, Zeitwinkel is offering an e-boutique where interested customers can buy directly from the source: http://watches.zeitwinkel.ch/en/. After all, Zeitwinkel is German for “Time shop”. Depending on the model, prices are between CHF 6850 and 10750, making it about $8500 to $13200 CAD.